Since 1900, just three candy bars have carried the Hershey name. Now there's a fourth. Meet Hershey's Gold, the first new Hershey bar since the chocolatier debuted the Cookies 'n Creme variety in 1995. The original milk chocolate Hershey's bar first went on sale in 1900. Hershey's Special Dark debuted in 1939. 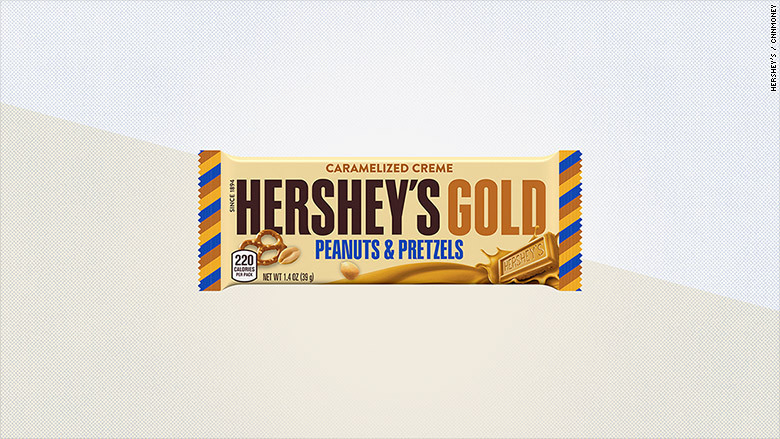 Hershey's Gold is a "caramelized creme" bar with pretzels and peanuts baked inside. Notice the missing ingredient? Yeah ... there's no chocolate in this Hershey's bar. 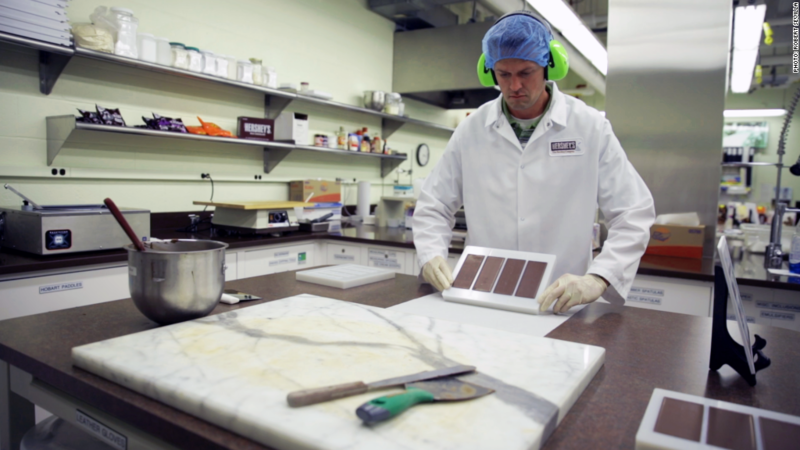 Hershey says it turns the white creme gold by browning the sugar inside. That gives Gold bars a "sweet, buttery taste" topped with a creamy finish. "Consumers favor a complex combination of ingredients, which led to the unique variation of sweet and salty, crunchy and creamy," Hershey said in a press release. For example, Hershey recently made a big advertising push for Reese's Outrageous (peanut butter cups with caramel and Reese's Pieces inside). It also launched Hershey's Cookie Layer Crunch, Popped Snack Mix and Chocolate Dipped Pretzels in the summer. Last week, Hershey posted decent third-quarter sales growth and expressed optimism that its new candies -- including Gold -- would boost consumers' candy demand. Hershey said its profit this fall would hit the high end of its previous forecast. Hershey's Gold will go on sale nationwide December 1. If you can't wait, you can pick one up now in Hershey's Chocolate World theme parks in Hershey, Pennsylvania, and Las Vegas.